CHRIST AROSE. HE IS ALIVE! 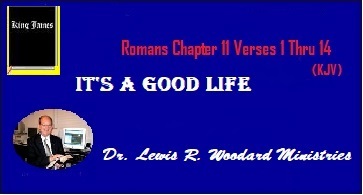 CURRENT SERIES FOR "IT'S A GOOD LIFE" PROGRAM. AND THE BASIC FUNDAMENTALS OF THE GOSPEL. SIN IS A PREFERENCE ! Choosing to sin is a "preference"!!!! If a person chooses to sin, then sin is a preference over doing right. If a person chooses to speak out against sin, then speaking out against sin is also a preference. the SIN spreads like a cancer. Quit playing church; quit looking for entertainment. Get into the Word of God, and pray for His guidance and not man's. "Instead of rising up to play, God's people need to kneel down and pray." Lewis R. Woodard, D. Min. ......"Whole companies of young people are growing up who have known nothing else but the degenerate brand of Christianity now passing for the religion of Christ. They are the innocent victims of a condition which they did not help to create. Not they but a spiritually emasculated leadership must answer for their plight." This website is dedicated to our Lord and Saviour Jesus Christ! 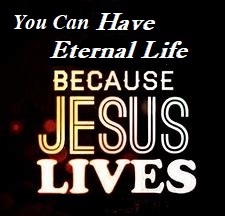 Jesus came into the world that through Him the world (mankind) could go to Heaven. Mark 16:15 We are honored that you are visiting our website. Please visit each page. If you have questions, do not hesitate to write us or e-mail us at the addresses given. this website. Please be patient as songs and sermons load. My prayer for YOU is that today, right now, YOU would let Jesus come into your heart. God loves YOU. He sent His Son, Jesus, to die for YOU. 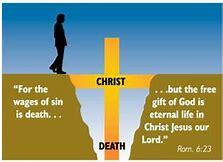 Jesus not only died for YOU, He rose from the grave the third day so YOU could have Eternal Life. Ask Jesus into your heart. Pray: "Lord I know I am a sinner. Please forgive me of my sin. I cannot go to Heaven without You. There is no other way. I receive You as my Saviour. Please come into my heart and save me right now. Thank You Lord that You are able to save, keep and assure me of a Home in Heaven." Romans 10:13 "For whosoever shall call upon the name of the Lord, shall be saved." 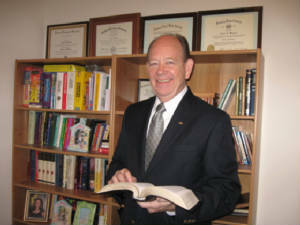 To read a timely message from Dr. Woodard CLICK HERE. CONTACTING DR. WOODARD FOR A SPEAKING ENGAGEMENT.